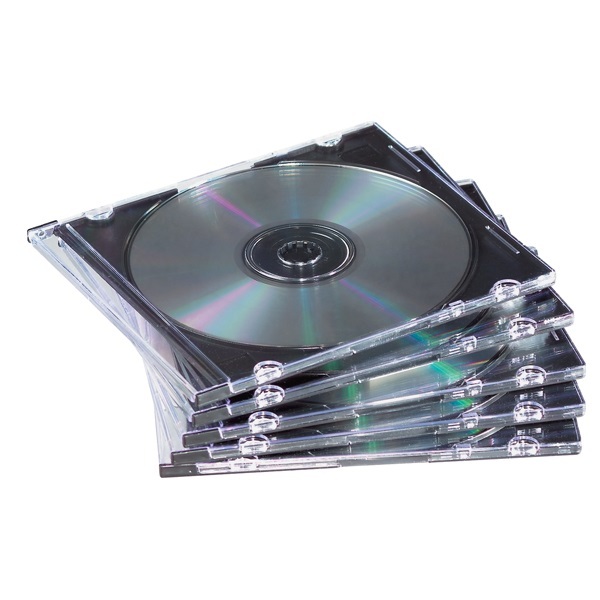 A durable and functional zippered CD/DVD case in a foam backed black fabric finish. 12 fixed pages with double sided black fabric backed CD/DVD storage pockets. 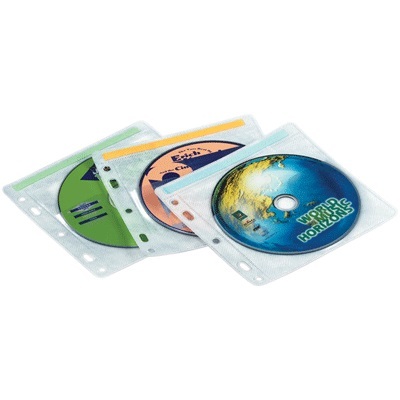 Cover and pages made from archival quality copy safe, acid free and anti-static treated polypropylene. 12 fixed 'two up' pages with double sided black fabric backed CD/DVD storage pockets. 12 fixed 'four up' pages with double sided black fabric backed CD/DVD storage pockets. 25 fixed 'four up' pages with double sided black fabric backed CD/DVD storage pockets. 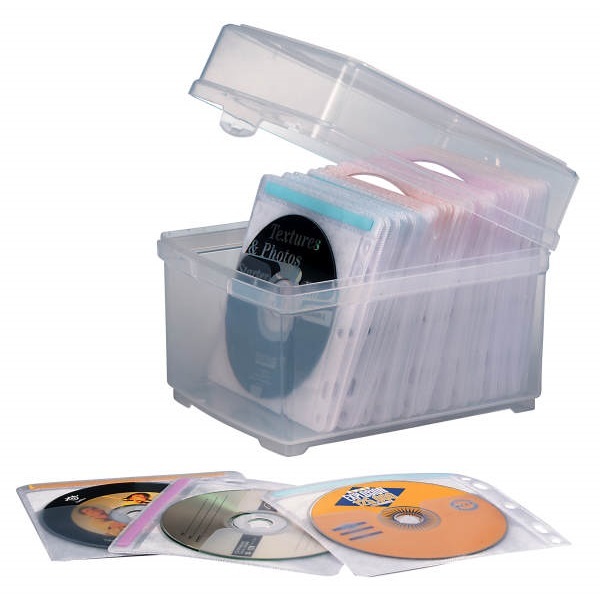 Clear box complete with 30 double-sided non-woven protective sleeves. Each sleeve holds CD and Booklet or 2 CD's. Index tab on each sleeve keeps CD's organised. Sleeves are pre-punched and can be put in ring binders etc. Made of archive friendly polypropylene. 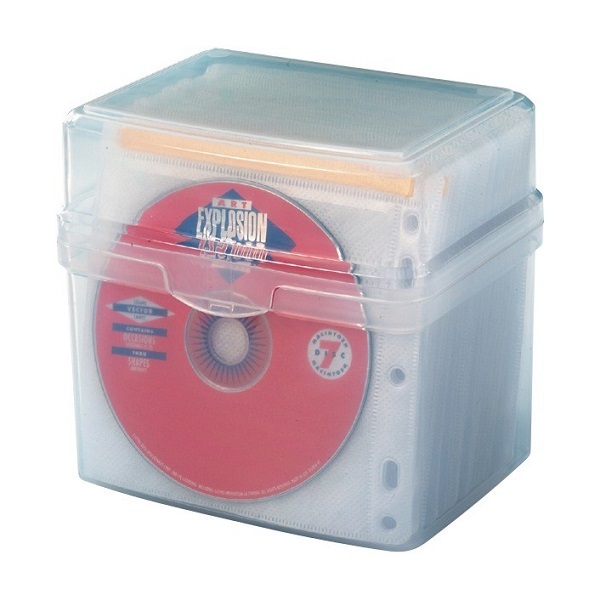 Clear box complete with 50 double-sided non-woven protective sleeves. 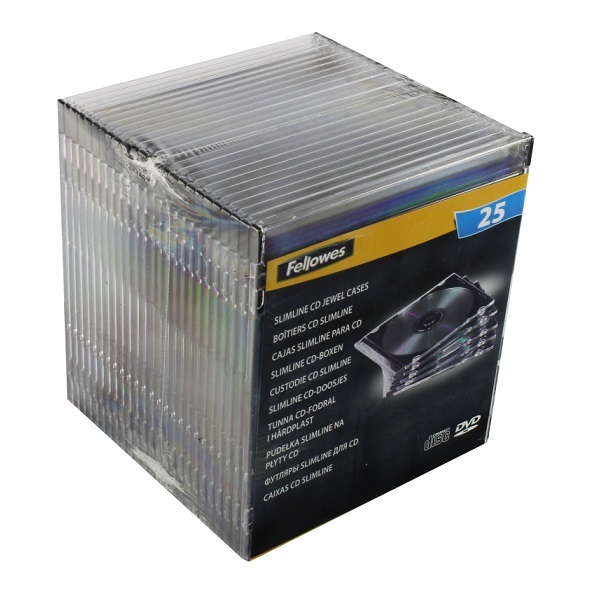 Pack of 50 double-sided non-woven protective sleeves.